Contents: blaster, 12 Zombie Strike darts, and instructions. 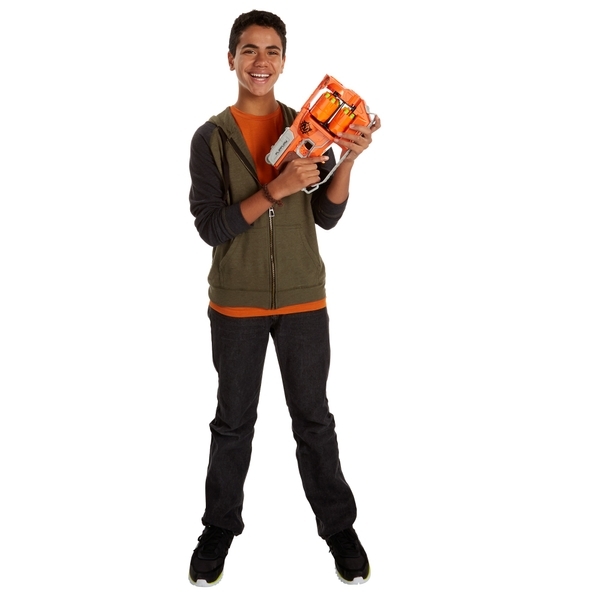 Defend humanity like a true zombie-hunter with the Nerf Zombie Strike Flipfury blaster. It lets you flip between 2 rotating drums that hold 6 foam darts each. Nerf Zombie Strike Flipfury fires a total of 12 Zombie Strike darts before reloading to beat back the zombie horde! EU Warning: Do not aim at eyes or face. Use only darts designed for this product.Do not modify darts or dart blaster.